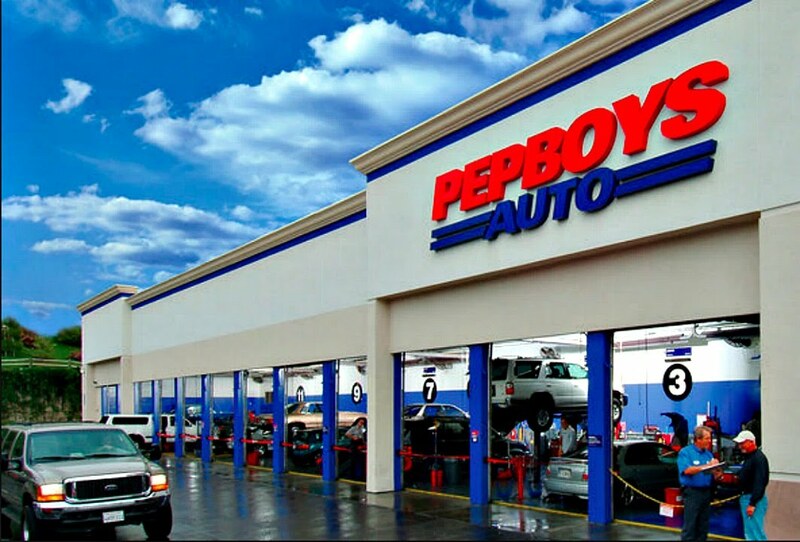 Pep Boys, is a leader in the automotive aftermarket industry for parts and services with over 800 stores and service centers across the United States and Puerto Rico. Pep Boys’ customers are able to get the most of out of their cars by obtaining products and services, including tire changes, routine maintenance, oil changes, brakes, and inspections from their service centers and online. Customers’ ability to research products, purchase items, and schedule car services online is a relatively new experience for car aficionados. The shift began as customers migrated from do it yourself (DIY) to preferring service options and shopping across multiple channels. Delivering what these customers need in a way that bests suits them was Pep Boys’ strongest desire. At the start of the online initiative Pep Boys engaged Credera to develop a pricing, fulfillment, and merchandising strategy, as well as provide ecommerce, open source, and user experience development expertise. Credera worked with Pep Boys to develop the business model and the overall technology solution to support the Pep Boys vision. The result has been an incredibly strong partnership that has produced Pep Boys number one strategic growth initiative. The first phase of the initiative was completed when Pep Boys released an online tire-buying guide (i.e., Treadsmart). Building on Treadsmart’s success, Pep Boys continued to invest in improving the customer experience. For example, customers have the option to select different products ranging from tires to oil changes while viewing product features and comparing pricing so they can make the best choice. Customers may choose to ship products to their homes or reserve the products/services at a store near them. Pep Boys allows customers to make real reservations online (e.g., tire rotations, installations, oil changes, etc. ), which provides the customer scheduling efficiencies and lower wait times. Ecommerce selection – Credera and Broadleaf Commerce worked together to implement the Broadleaf Commerce open source ecommerce framework. Pep Boys needed an eCommerce framework that was capable of handling complex customizations, integrations with existing technologies, and the ability to support over 100,000 products and pricing. In addition, the platform had to scale, be fast and serve customers and stores by region. Ecommerce customization and build – Credera’s ecommerce expertise and Broadleaf Commerce’s product allowed Pep Boys to outsource ecommerce development to Credera. Our team was able to fully customize Broadleaf Commerce and integrate it with Pep Boys’ inventory, financial and CRM software solutions, to name a few. Agile Development – The agile methodology is Credera’s preferred approach to development. This allowed Credera’s team to deliver web functionality and receive client feedback more quickly. Pricing Strategy – Pricing for products and services can vary by store, so Credera helped Pep Boys create business rules and technical capabilities for pepboys.com to display accurate information for all products at each and every store. Fulfillment Strategy – Pep Boys’ customers are able to choose from over 125,000 products online. However, not all products are readily available at every Pep Boys location. Customers are provided the availability date of each product. Even if the product is not currently available at that store, Pep Boys is now able to show the earliest date and time a customer can receive the product. Once the product is chosen, pepboys.com facilitates fulfillment through the appropriate warehouse and store. Merchandising Strategy – Credera recommended merchandizing improvements. For example, products needed better images and more customer-friendly descriptions. To bring this to life, Credera built a portal for suppliers to upload product information. Pep Boys’ merchandisers are able to approve and edit the information to display appropriately on Pepboys.com. AB Testing – Credera conducted AB testing on pepboys.com to improve customer experience, increase conversion and drive revenue. Our team reviewed specific product pages that had lower conversion rates and recommended design changes and purchase-flow changes. A portion of visitors saw one version of a web page, while the other portion saw another. Results were tracked and the most successful design and process changes were put in place. IT Infrastructure – Credera completed an infrastructure assessment. As a result, Credera recommended a different hosting provider and helped move Pep Boys to the provider. Credera continually assists Pep Boys with scaling and optimizing performance. “One word that describes Credera is capability. Credera helped us grow, understands where we are headed, understands our infrastructure, and understands the challenges,” said Assistant Vice President of Marketing, Pep Boys. “I know it is a cliché, but Credera really is an extension of our team. Generating and sustaining this kind of growth requires a lot of very difficult days. I am always glad Credera is next to us, shoulder to shoulder, solving the problems and capturing the next opportunity,” said Vice President of Digital Operations and eCommerce, Pep Boys. STORES Magazine highlighted Pep Boys and Credera in their December 2015 issue. The article “Service with a Smile” shares how Credera worked with Pep Boys to achieve over $100MM in online revenue using the Broadleaf Commerce platform.